Autumn is harvest season, so it’s only natural to celebrate by cooking with fall’s bounty of colorful squashes. We’ve consulted with some of our favorite top chefs to share their best pumpkin recipes and butternut squash recipes. The recipes are organized in the progression of a meal, from starters like vegan pumpkin broth and butternut squash salad to a sweet ending of pumpkin hand pies — and even a nightcap of pumpkin hot buttered rum! Get ready to fall into the season and feast on pumpkin and squash. After all, the orange gourd is loaded with health benefits. 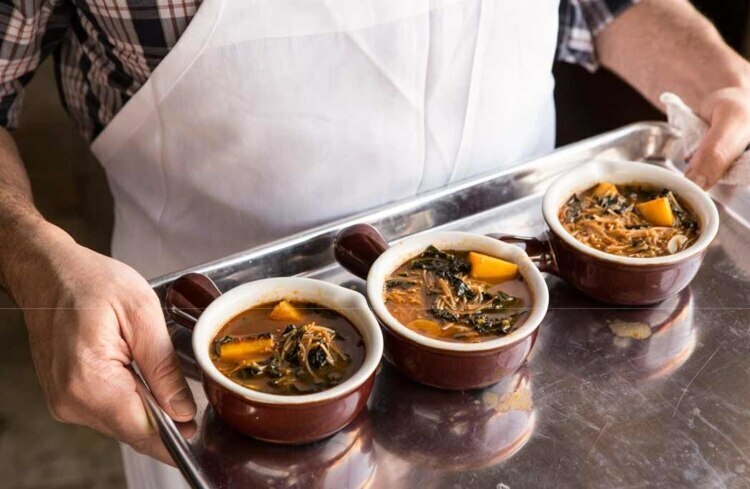 Chef Michael Solomonov of Zahav restaurant in Philadelphia put his own spin on pumpkin soup with this lighter version spiced with cinnamon, ginger and cloves. We especially love that it’s vegan! Method: Heat a cast iron pan over high heat until smoking, about 3 minutes. Add the onion halves, cut side down, to the pan and cook undisturbed until the onion has a black layer of char across it, about 5 minutes. Reserve. For the broth, warm 1 tablespoon of the oil in a large pot over medium heat. Add the squash skin and seeds and cook, stirring occasionally, until the color darkens and some squash residue begins sticking to the bottom of the pot, about 5 minutes. Add 2 quarts water, the reserved onion, tomatoes, cinnamon, ginger, cloves and salt. Bring to a simmer and cook for 1 hour. Strain, pressing on the solids to extract as much liquid as possible, and return the broth to the pot. Preheat the oven to 400 degrees F. Toss the fideos with 1 teaspoon of the oil and arrange on a baking sheet. Toast in the oven until the fideos have darkened in color and smell a bit nutty, about 4 minutes. (Watch them closely; they go from perfectly toasted to burned quickly.) Set aside. 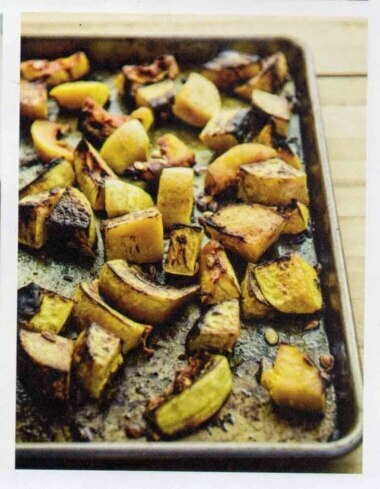 Toss the squash with the remaining 1 tablespoon oil, arrange on a baking sheet, and roast until dark brown but not fully cooked, about 15 minutes. Return the broth to a simmer and add the kale and pearl onions. Simmer until the vegetables just begin to soften, about 5 minutes. Add the roasted squash and toasted fideos and cook, stirring, until the soup has thickened and the fideos are tender, about 4 more minutes. Serve immediately in bowls. 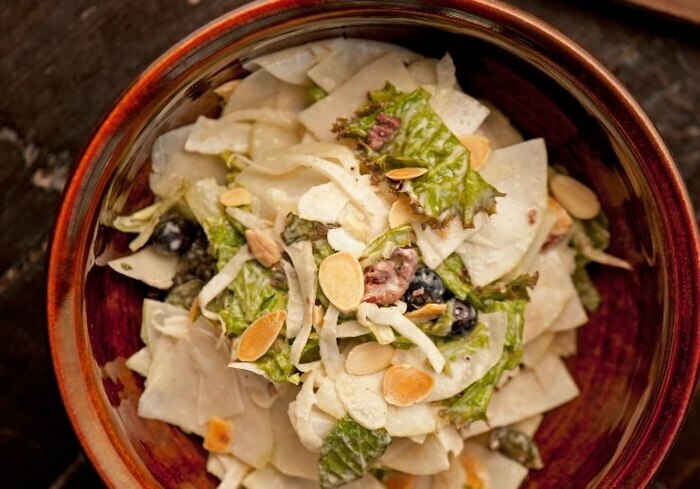 Kohlrabi salad is a staple on the menu at chef Stephanie Izard’s Girl & The Goat restaurant in Chicago. This variation, highlighting shaved butternut squash, pears, mushrooms and a ginger dressing, is perfect for a meal on a crisp fall day. Method: Toss mushrooms in oil, salt and pepper. Roast at 300 degrees until wilted and slightly colored, about 15 minutes. Set aside and let cool. Mix all ingredients together in a large mixing bowl. Top with ginger dressing, plate and serve. In a blender, combine the ginger, shallot, mustard, vinegar, yolk, soy sauce, and syrup. On low speed, slowly drizzle in the grapeseed oil until the dressing is smooth and thickened. Season with salt and pepper. Cover and refrigerate until needed. Cooks of any level can confidently tackle this savory side of roasted butternut squash from chef Curtis Stone. If you’re in the Los Angeles area, be sure to check out his two restaurants: Maude in Beverly Hills and Gwen in Hollywood. Method: Preheat the oven to 450 degrees. Divide the squash among six plates, sprinkle with the pumpkin seeds and cheese, and serve immediately. 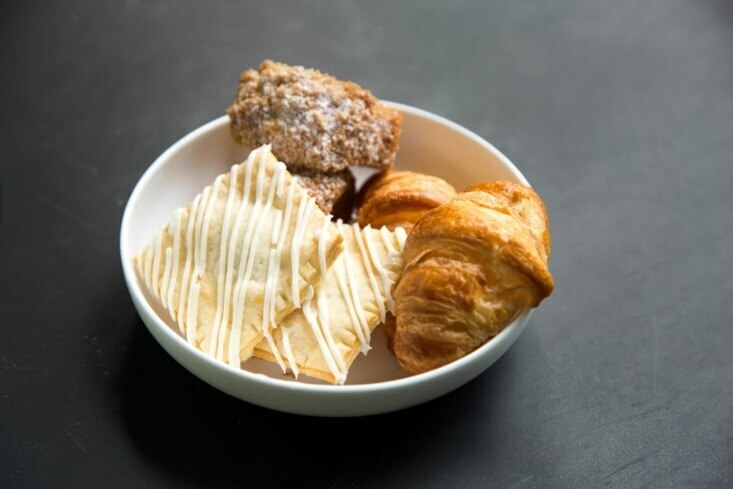 For dessert, indulge in pumpkin hand pies with this recipe from chef Charlie Palmer’s Harvest Table restaurant in St. Helena, California. Method: In a small saucepan, whisk together the pumpkin, brown sugar, spices and salt. Cook over medium-heat, stirring occasionally, to cook out the moisture, 6 to 8 minutes. Remove from heat, mix in the vanilla and cream cheese until fully incorporated, then mix in the egg yolks. Transfer to a bowl and let cool. Combine the flour, sugar and salt in a mixing bowl. In a standing mixer with a paddle, incorporate the butter until pea sized balls form. If you do not have a standing mixer, use a pastry blender or two knives to cut the fat into the flour mixture. Add vinegar, and then slowly add water. Mix until just it combines, being careful not to overwork the dough. Press in to a rectangle, wrap in plastic wrap or parchment paper and chill for at least one hour in the fridge. Roll dough out until very thin. Cut in 3″x3″ squares. Fill half the squares with filling and poke the other squares with a fork 3 times. Brush all sides of the squares with eggwash. Place the perforated tops on to the filled bottoms, and crease all sides with a fork to seal. Bake at 325 for approximately 10 minutes until golden brown. 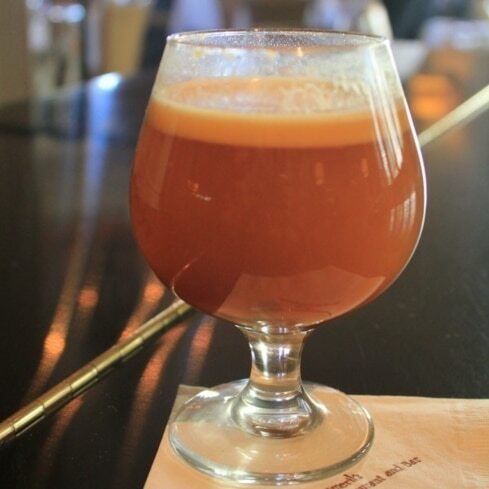 When the weather cools down, warm up with Pumpkin Hot Buttered Rum from chef Emeril Lagasse’s Emeril’s Delmonico restaurant in New Orleans. 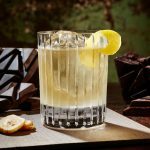 This festive libation spotlights Louisiana-based Donner-Peltier Distillers’ Rougaroux 13 Pennies Praline Rum, which is flavored with toasted pecans, cane syrup and Madagascar vanilla beans. Method: To make, pour rum and simple syrup into a brandy snifter and steam. Add pumpkin butter and top with the hot water. Stir with cinnamon stick.